I often find that I will review products on my Instagram channel or I will review products here on my blog. For whatever reason, I seem to forget to review products on both platforms. I need to be better and I will try very hard because I know there is a handful few of my readers who don't have an Instagram account. 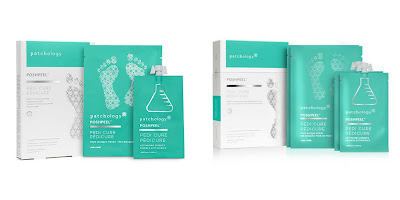 Last week, I had the privilege of testing the PoshPeel Pedi Cure Exfoliating Foot Mask from Patchology that was sent complimentary for review purposes. So....one thing you might now know about me is that I have quirky phobias! One of my biggest phobias is that I hate feet. Feet are nasty and disgusting and it takes a lot for me to review a product that has anything to do with feet. I went into testing out this product knowing, in the back of my head, that this was just another foot peeling masks that over promises but under delivers. In the end, I am still shocked as hell that I am posting a review about my experience and...wait for it....I am posting pictures of my feet! If you want to read more about my experience, just keep reading. This is an exfoliating treatment to dissolve dead skin, exfoliate rough patches and brighten feet. The PoshPeel Pedi Cure claims to polish to perfection with this treatment that gently exfoliates and resurfaces the skin. It promised to leave your feet feeling smooth and radiant. Although I always suggest patch testing, I have been around the block as far as foot peels go so I jumped in head first. Often times the nature of a product does not allow for patch testing (think sheet masks) but if you have reactive and sensitive skin, please do yourself a favor and always patch test. I would like to point out that there is an argument out there seen here on The Beauty Brains, that patch testing does not work. However, it has saved my skin from some pretty serious negative reactions. Although I do agree with TBB (and love this pod cast btw) that patch testing does not work against evaluating whether a certain product will cause acne breakouts, patch testing will help determine if your skin is allergic to the ingredients. This type of negative reaction is seen in the form of itching/stinging, intense flushing, burning, rash or hives. 1 Treatment retails for $20. This treatment has two buying options available. First, you can purchase a set that includes one pair of booties and essence pouch seen in the above picture. There is another option that comes with two pairs of bootie socks and two pouches of essence. My kit arrived with two essence pouches but only one pair of socks so I may have received a bum kit! Regardless, I made due with what I had and decided to put half of one pouch into each sock. The socks were your typical, durable plastic but these socks had a cotton liner inside. This liner helps to absorb the essence and much like a sheet mask, the liner clings to the skin. This helps the product keep in contact with the skin and allow for maximum absorption. These types of masks can be quite intimidating but they are really very easy to use. First, I soaked my feet for about 15 minutes while replying to emails. Next, I put my feet into each bootie sock and securely closed the socks. I wore these for 90 minutes, 60 is recommended but 90 is for deeper exfoliation. I removed the socks, rinsed thoroughly, dried and then went to bed. Ingredients include a collection of glycolic acid (AHA), salicylic acid (BHA), lactic Acid (AHA) to penetrate deeply to soften dead skin and encourage the skin to slough off. This also contains licorice which helps to brighten. Other ingredients include green tea, apple and grape fruit extracts which are both potent antioxidants that have moisturizing effects, chamomile that helps soothe and calm, skullcap which is highly anti-inflammatory as well as rosemary to purify and panthenol & allantoin to help condition the skin. This peel also includes centella asistica, one of my favorite ingredients because honestly it does so much good stuff for the skin. I began seeing the nasty, snake like peeling 3 days after using the treatment. Sorry for the gross pictures but I really wanted to show you the results. I consider myself a foot peel expert but I have never seen a treatment deliver this level of results. Yeah sure, some treatments gave me peeling but nothing like this. My feet are seriously shedding! I have so many problems with dry skin and thick callouses that build up on my feet. I often get corns that have to removed so I use these peeling treatments to help decrease the amount of build up. I am seriously still in shock that this peel works so incredibly well. It's been 5 days and my feet are still peeling off nasty dead skin. So gross yet so satisfying! Out of all the foot peeling masks I have used over the last few decades, this one is by far the best I have ever used. I know this treatment is expensive but I would highly recommend it. 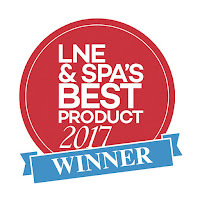 This foot peel won the Les Nouvelles Esthetiques & Spa Magazine Best of 2017 Award. Since I received a miss-matched treatment kit, I decided to use only one of the treatment essences. I still have another essence pouch leftover which I plan to use in another 8 weeks. I did not save the bootie socks but I will recreate the socks using gauze and heavy duty plastic bags. If you can utilize this tip, you can save yourself some money! If you can stretch one treatment into two, you are only paying ten dollars per peel. Ten bucks is a steal for these results. Warning...due to the high concentration of acids in this formulation, please be careful the essence does not spill because it could cause a bleaching effect. $20 at Amazon -> by far the best price for the full kit that normally retails for $35! So good! It looks like it got really deep into your heel! I have been meaning to pick up another baby foot peel, but this looks better! THANK YOU!